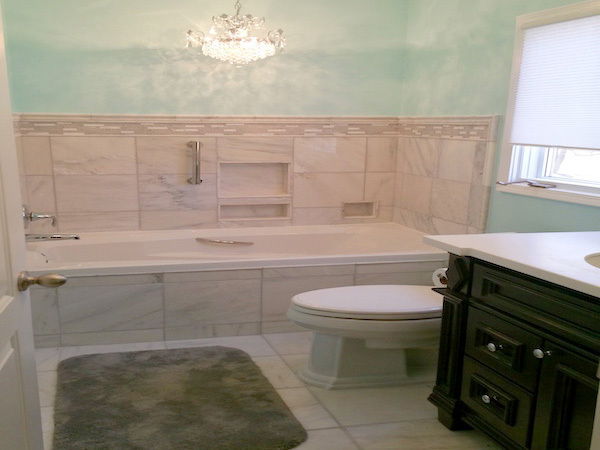 At Elie's Home Improvement, our team has been providing exceptional home remodeling services and luxury bathroom renovations in the Troy area for over 15 years. We can work with any budget to help you achieve the luxury bathroom you've always wanted. Our expert team prides itself on working closely with clients on a personal, one-on-basis. We are a small, locally owned and operated business, and because of that, we are highly focused on pleasing every single customer. Bring your dull, outdated bathroom back to life with our experienced team, high-quality products, and superior service! 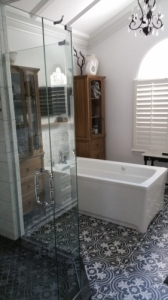 We take pride in helping you design the perfect bathroom for your budget and ensuring that your renovation is executed with the highest quality products and workmanship. The experienced team at Elie's Home Improvement will work with you to ensure that your job is performed on time, on budget, and with minimal hassle to you. We pride ourselves on our attention to detail and reputation for honest, reliable service. Your bathroom is one of the first and last rooms your spend time in every day, and you deserve to spend that time in a beautifully remodeled space customized to fit your tastes and needs. For us, reinventing your bathroom is more than just a home improvement project; it's about the art of designing the ideal space for you. 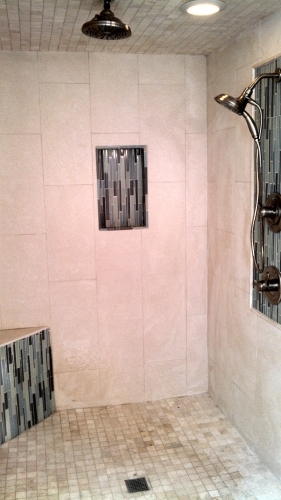 When you begin your bathroom remodel or renovation, consider not only the needs of your family, but future homebuyers. Currently, the most popular bathroom features include double sinks, walk in showers, and oversized tubs. 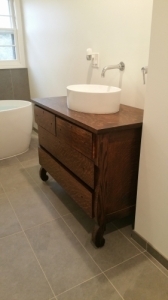 Additionally, many people opt to redesign their bathroom in order to add more storage. 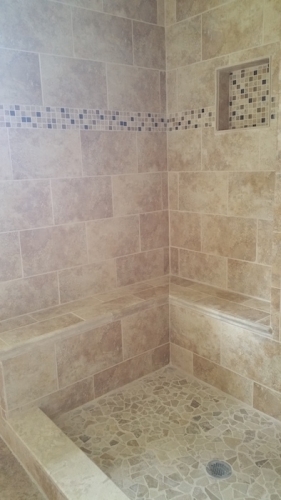 From replacement tubs and showers, to new a new sink and countertop, or a custom tile floor, we can do it all---large or small. Besides Elie's excellent workmanship I appreciated his honesty and willingness to work within the parameters I had. The TLC that was given to my kitchen, bath, and living room exceeded my expectations. I love showing off my kitchen and bath and would certainly have Elie back to do further work as needed. Contact Elie's Home Improvement for a free consultation and estimate by filling out the form on this page or calling (248) 790-0848 today! The contents of this webpage are Copyright © 2019 Elie's Home Improvement, LLC. All Rights Reserved.